For the life of me, I can’t find the British study claiming one smile, can generate the same level of brain stimulation as up to consuming 2,000 bars of chocolate or like receiving $25,000 in cash but it sounds fantastic. Benefits of a good old fashion laugh. Improve mood – making yourself smile when you’re feeling down helps improve mood and increases positive thoughts. Relieve stress – when you smile there is a decrease in stress hormones, such as cortisol, adrenaline and dopamine and increase in feel good hormones, endorphins and serotonin. Strengthen immune function – as they say, “laughter is the best medicine”. Smiling, positive thoughts and laughter release a signaling molecule in our brain that fights stress and illness, while negative thoughts decrease our body’s immunity. Relive pain – laughter causes our body to release its own natural painkillers. 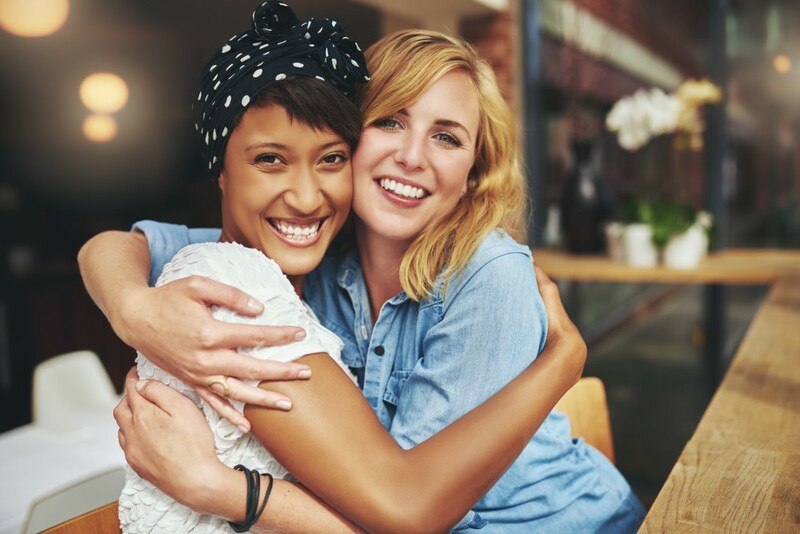 A 2012 study found that social laughter increases your pain threshold, creating a higher pain tolerance, so watching a funny movie or hanging out with people that make you smile can help with pain. A third of us smile 20 x per day and there is less than 14% that smile less than 5 x per day. Children smile up to 400 x per day! So some people simply avoid smiling as they are concerned about what is unveiled when there lips part to reveal, chipped or missing teeth, fillings or discoloured teeth. If you find yourself wanting to cover up your smile, you could be holding yourself back in more ways than you realize and life can be more challenging for those self-conscious about their smile. Many dental problems can be fixed by regular visits to the dentists and home oral health maintenance. 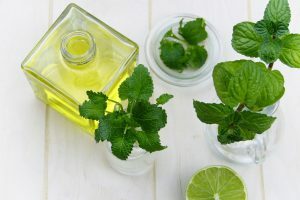 If you’re looking for natural ingredients to keep your gums and teeth healthy, there are many to choose from but don’t forget that it’s not a replacement for brushing, flossing, or rinsing with a mouthwash. Subtly balanced active complex of plants like Sage (Salvia officinalis), Arnica (Arnica Montana), Echinacea purpurea, Neem tree extract (melia azardirachta) and cloves (Eugenia caryophyllus) are all herbs, proven natural remedies that stand out for their anti-inflammatory, antibacterial and healing effect. Their effects complement and support each other in a perfect way. This herbal complex supports the healing effect and antibacterial and anti-infammatory effect in oral care and helps to curb harmful bacteria. A mountain plant that belongs to the group of composite plants. It is well known for its soothing and healing effect, therefore often used to relieve, bruises, strains, swelling so its not suprising that is often used to relieve inflamed gums, ulcers and oral mucosa. Blossons contain several substances with anti-inflammatory or antiseptic effects. Amond the essential oils are, flavonoids, sesquiterpen lactones, thymol and helenalin. 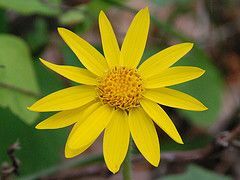 Arnica is used in hylodent toothpaste for daily oral care to due it’s natural soothing and healing effect. Broccoli, spinach, sugar beet molasses, mussels and crabs are just some of the foods that contain betaines. The name is derived from the sugar beet, which in Latin is call Beta Vulgaris. It’s often a by-product in the production of sugar. Betaines are postively charged at one end and negatively charged at the other making them zwitterionic. They help organisisms bind water in cells. 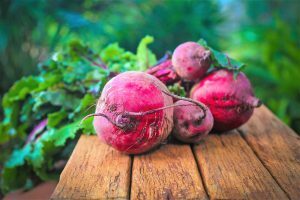 In addition, betaine, together with folic acid, B6, and B12, is said to lower homocysteine level in human blood, thus protecting against arteriosclerosis. 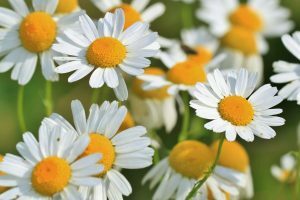 Bisabolol is derived from chamomile and has anti-inflammatory, disinfecting and wound healing properties. 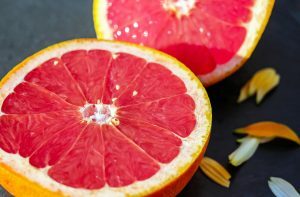 Grapefruit peel extract is a natural preservative used in hylodent toothpaste. The extract has a pleasant astringent effect, tightening soft tissue and strengthening its surface. 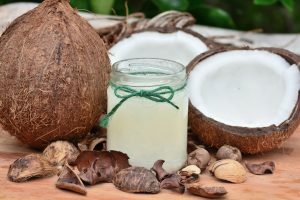 Cocamidopropyl betaine, shortened to CAPB is a natural surfactant based on coconut oil. Used in personal care products as a cleanser for skin, hair and teeth it exhibits foaming properties. It’s also helpful in regulating products viscosity, like in hylodent mouthwash to give it that smooth silky sensation. It’s generally gentle on skin and well-tolerated by the mucous membrane. In some exceptional cases, there can be an allergic reaction on skin. Echinacea is a herbaceous perennial that can be found in many gardens. It hails from North America and was commonly used as a medicinal plant by Native Americans. 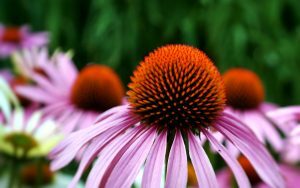 The purple coneflower (Echinacea purpurea) in particular is said to have a stimulating effect on the immune system. It is used to relieve, coughing, sneezing, urinary tract infections and support wound healing. More commonly known as clove, Eugenia caryphyllus has a similar effect to a local anaesthetic so has been used for centuries for its soothing effect on toothaches. 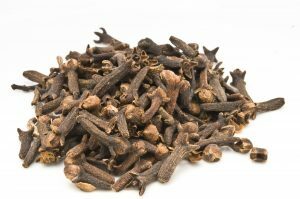 In addition clove oil has an antibacterial and anti-inflammatory effect. Fat powder from hydogenated rapeseed oil is used in several foods, e.g. soups, sauces and ice cream blends. 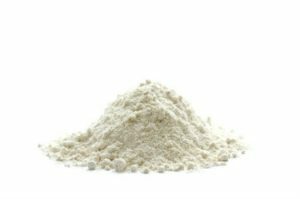 It’s formed by spray-drying an emulsion made of proteins, carbohydrates, and vegetable fat. 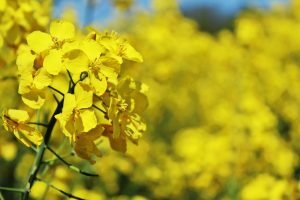 At Hylodent the fat powder from hydrogenated canola oil is used in production of tablets. It’s an excipient that helps tablets achieve and hold a fixed shape. Glycerin binds water and helps in cosmetic and skin care products to moisturise the skin or helps skin maintain its moisture. As it is naturally present in the body, Glycerin is well tolerated. 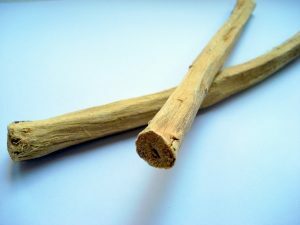 Glycyrrhetinic acid is an extract from the liquorice root and is known for its anti-inflammotory, antioxidant and antimicrobial effects as well as its support in wound healing. 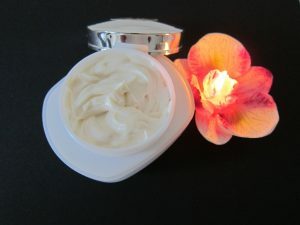 It is used in the cosmetic industry to sooth irritated skin. In the pharmaceutical industry it is used to mask the unpleasant taste of some drugs. The probiotic lactobacillus reuteri is naturally occurring in the human body, unfortunately, it is missing in some people. 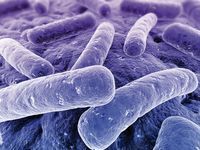 There seems to be a relation between the colonization with the beneficial lactobacillus reuteri and the decay of other harmful bacteria, such as Streptococcus mutans. If the bacterium is missing or is underrepresented, it is more likely the body suffers from infections. In trials the supplementation with lactobacillus reuteri was able to support the treatment of periodontitis and reduce gingival pockets depths. This can be seen as evidence that lactobacillus reuteri supports a healthy oral flora, thus preventing, caries, dental plaque and bad breath. Lactobacillus reuteri is found in Hylodent Dental Care Lozenges to improve overall oral health. 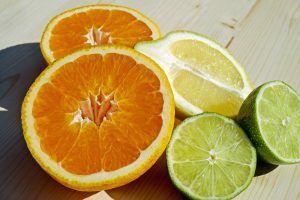 Limonene is responsible for the aroma we find in citrus fruit. It can be found in high concentrations in the peels of oranges and lemons, as well as several other plants. Limonene is extracted from natural substances, such as peels produced during the production of orange juice. It serves as an aromatic and flavoring agent, as well as an organic solvent and can be found in Hylodent Gum Serum. However, limonene has an irritating effect in large quantities. 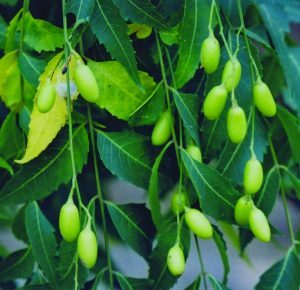 Melia azadirachta is the botanical name for the Indian lilac. It originates from the region surrounding India, Pakistan, and Myanmar. Today, it is at home in hot, dry regions of the tropics and subtropics all over the world. The oil of its olive-like fruit contains a variety of active ingredients, and is used both in medicine and in agriculture. Indian lilac products have been used in Indian medicine for all kinds of symptoms since antiquity. The oil is used for head lice, inflammation, and also in oral hygiene products such as Hylodent toothpaste. Sodium hyaluronate is the sodium salt of hyaluronic acid. 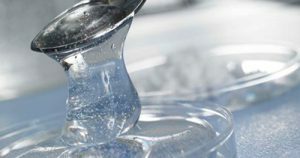 In its effects, it acts like hyaluronic acid which is a naturally occurring substance in the body that is increasingly attracting attention as an adjuvant in dentistry. It can be found everywhere in the extracellular matrix and is part of many regenerative processes such as cell division and fibroblast proliferation. Furthermore, it has anti-bacterial and anti-inflammatory effects. Using hyaluronic acid during and after operations demonstrated quicker healing, reduced inflammations, and a significantly lower level of harmful bacteria colonization in gingival pockets. 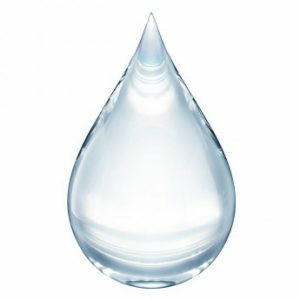 Hyaluronic acid can be found in all Hylodent products. Peppermint (Mentha piperita) is a proven medicinal plant with a high content of the active ingredient menthol. Peppermint stimulates the production of bile and has an antispasmodic effect on the gastrointestinal tract. In addition, it has antibacterial and antiviral effects. It spreads a fresh scent and a fresh, cool feeling like in Hylodent Peppermint Dental Care Lozenges. 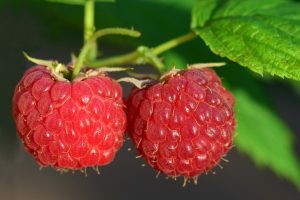 Raspberry is used as a natural flavour and aromatic agent. Raspberries are a fibrous food that have a cleansing effect and encourage saliva production in the mouth, which combats the acids and enzymes that attack teeth. They also have an antioxidant and anti-inflammatory effect. 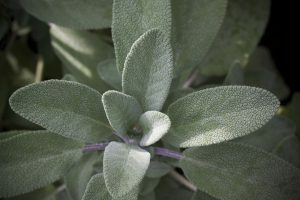 The manifold healing effects of sage have a long tradition in medicine, in particular for its antibacterial and anti-inflammatory properties. This makes it one of the most important traditional remedies for sore throats. However, it’s also used for bleeding gums and therefore is found in Hylodent Toothpaste. Sorbitan caprylate is an emulsifier. This means: It ensures that oil and water are finely distributed when they mix and that the mixture remains stable. Moreover, sorbitan caprylate has a preservative effect. It’s considered harmless and can even be used in natural cosmetics. Xanthan is a natural substance produced when Xanthomonas bacteria convert sugary substances. As E415, xanthan is allowed in food products as a thickening and gelling agent. Xanthan creates the proper viscous consistency in foods like tomato ketchup, milk products, and sauces. Cosmetic products like lotions and toothpaste also frequently contain this ingredient. Xanthan is considered a dietary fiber and is considered harmless. It can only have a laxative effect in high doses. Xylitol is a sugar substitute and belongs to the sugar alcohols. In nature, it’s found in the bark of certain trees, such as beech and birch. 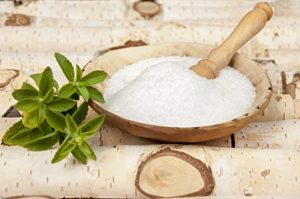 Hence the common name of “birch sugar.” But many vegetables such as cauliflower or fruits such as raspberries or plums also contain xylitol. Xylitol is a sugar substitute with a surprising effect: Bacteria causing caries cannot digest it. Without nutrition the bacteria can´t reproduce and the number decreases. Besides this inhibiting effect on bacteria xylitol seems to support the remineralisation of the teeth.